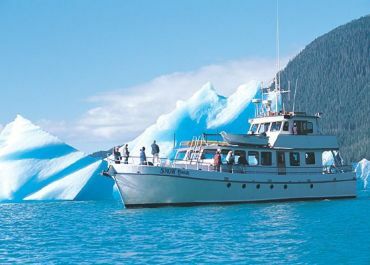 This 65 steel motor-vessel was built in Alaska in 1973 as a private yacht. 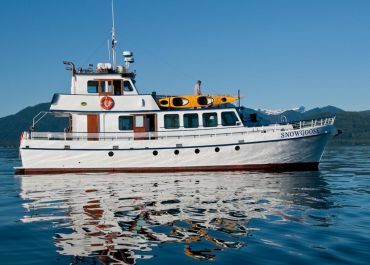 Ideal for research and education programs, she sleeps 12 passengers in 6 private cabins (double occupancy), with 3 heads and two showers. The main deck features a spacious, airy salon, natural history library, galley and dining area. Large windows provide great viewing on all sides with easy access to the deck. The upper bridge deck provides a good vantage point for spotting wildlife and comfortable seating for passengers who wish to get involved with the navigation of the ship. 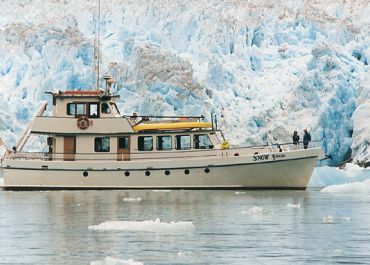 Snow Goose is a US Coast Guard certified passenger vessel. 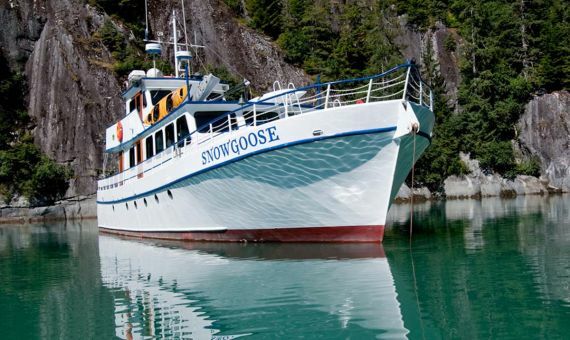 The Snow Goose runs our Southeast Alaska departures along with the Island Odyssey. 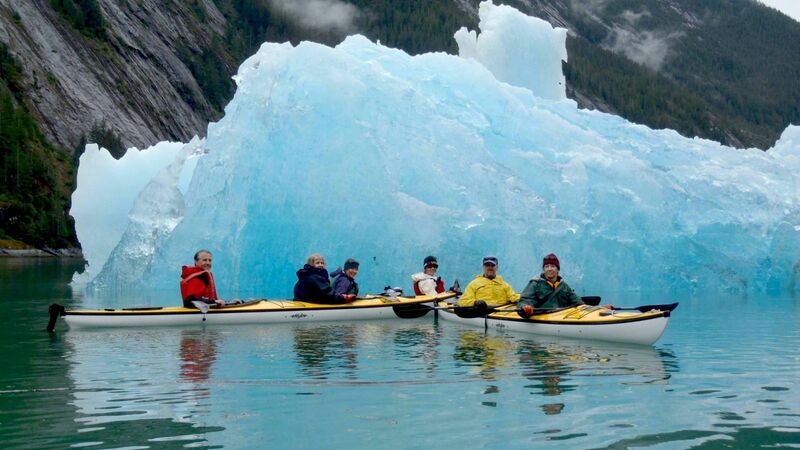 Are you interested in chartering the Snow Goose for a Mothership Kayaking Adventure in the San Juan Islands or Southeast Alaska? *Please note that for all Snow Goose trips bedding is now provided.